I will be putting my adjudicator’s hat on again for the Dulwich Piano Festival in June 2015. There will be a class for beginner’s duet featuring my first duet book, and a class for the aged seven and under where they will get a choice of two pieces from my new book, ‘Fun, Games and Party Pieces’, coming out in December. 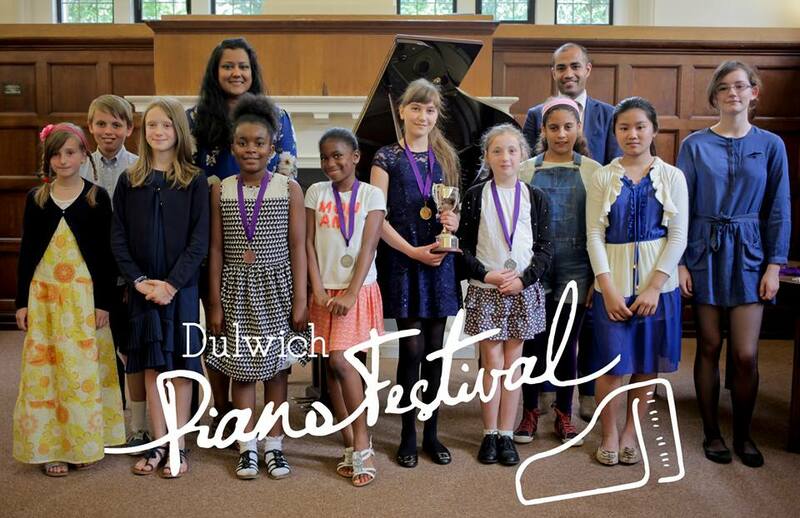 The fourth annual Dulwich Piano Festival will be held at James Allen’s Girls School in East Dulwich on Sunday 7 June 2015. The festival is organised by Lorraine Liyanage, Head Teacher at the SE22 Piano School, a busy private teaching practice based in South London. Lorraine is committed to providing regular performance – and social – opportunities for her piano students of all ages in order for them to share their music making with friends and family. Lorraine organised the festival because there was a distinct lack of any music competitions in the Dulwich area. Instead, she had to send her students to far-flung destinations such as Bromley, Beckenham and Croydon to compete in piano festivals. 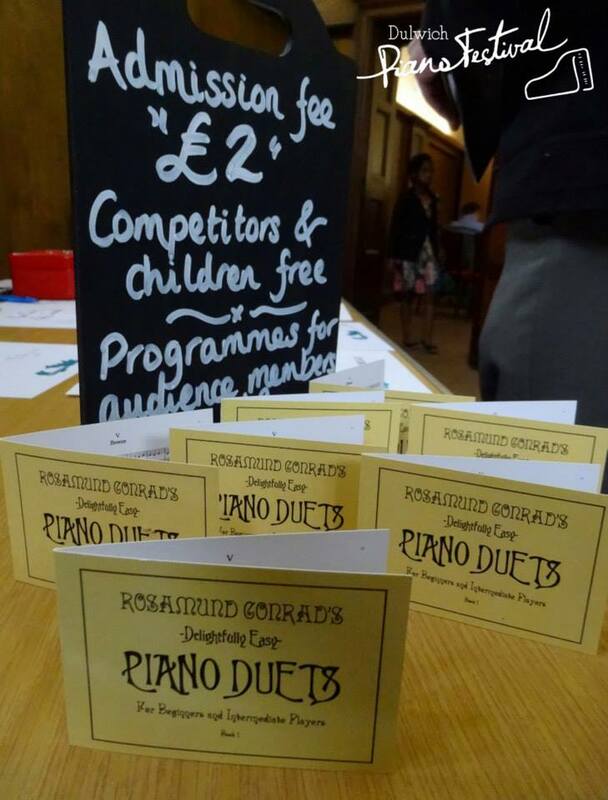 Spotting a gap in the market, Lorraine decided to take the risk of hiring a venue, advertising the event on a small scale in local magazines to attract competitors from other piano teachers, and the first Dulwich Piano Festival was born! In 2011, the competition was held in a 4 hour slot at Dulwich College and was attended by students of ages 4 to 72. The success of the first festival has seen the event grow to a twice-yearly event that now includes a Harpsichord Competition at the Horniman Museum & Gardens. Entries for the 2015 Festival are now open. There is no deadline for entry, instead the classes close as they reach capacity, so early entry is advised. ‘Roll Along’ by Rosa Conrad from ‘Fun, Games & Party Pieces’. Age 7 and Under – open to pianists that have never played in a piano festival before. This is the ideal piece for young beginners with the left hand leading a simple melody with the opportunity to explore a small range of dynamics. Do ensure that your starting dynamic of ‘mp’ contrasts sufficiently with the ending marking of ‘forte’. Make sure your ending is bold! ‘Spooky’ by Rosa Conrad from ‘Fun, Games & Party Pieces’. Age 10 and under. What a fun piece exploring dynamic ranges from pp to fff, with the creepy theme used on TV and movies when a ghost is approaching on tippy-toes. Pianists will be particularly delighted with the ending – the lowest note on the piano played fff – don’t be shy with the fff! The pieces offers the opportunity to explore a contrasting range of dynamics as well as ensuring there are crisp staccatos and longer notes held for their full value. Remember it’s marked slow and mysterious so there’s no need to rush this one – build up the suspense! This piece is ideal for beginners. ‘Tempest’ by Rosa Conrad from ‘Delightfully Easy Piano Duets‘. Any age. A firm favourite with my piano students, this duet is exactly as the title suggests – fiery and stormy, with lots of dynamic contrast and a chance to show off different characters and moods. The lower part is particularly fun to play so it’s a real blast to perform and always goes down well with the audience. This entry was posted in piano, piano duets and tagged competition, dulwich piano festival, east london, Lorraine Liyanage, piano, piano festival, Rosamund Conrad's Delightfully Easy Piano Duets. Bookmark the permalink.